It is an easy and simple flowchart creator helps you create flowcharts simply based on standard flowchart symbols and lots of flowchart examples, with no drawing required. 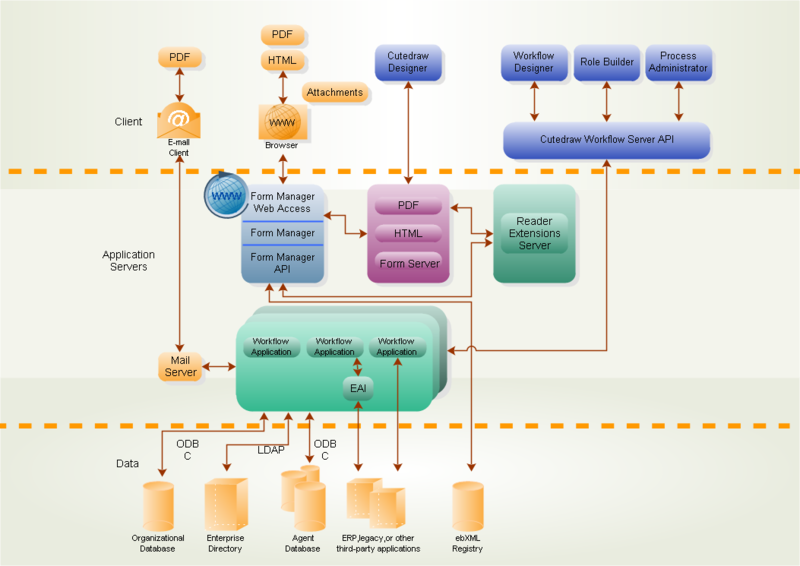 Discover why Edraw is a first-rank flowchart creator: Try it FREE. 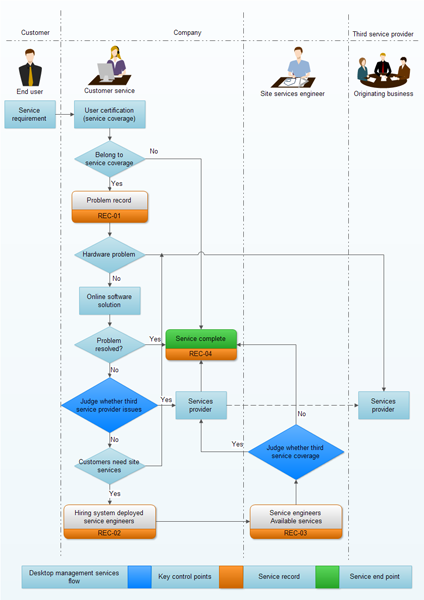 With Edraw Flowchart, it's easy to create flowchart, process flowchart, BPMN, data flow chart, cross functional flowchart, work flow chart, IDEF flowchart and more. With a large quantity of pre-drawn examples and more than 12000 symbols, drawing with Edraw is the easiest method so far! In-depth tutorials to help you learn to draw flowcharts. Supports Windows 7, 8, Vista, 2003, XP, 2000, Mac, and Linux. Flowchart examples and comprehensive symbols, visualize your ideas with amazing ease. There are different drawing tools to draw the flowcharts. 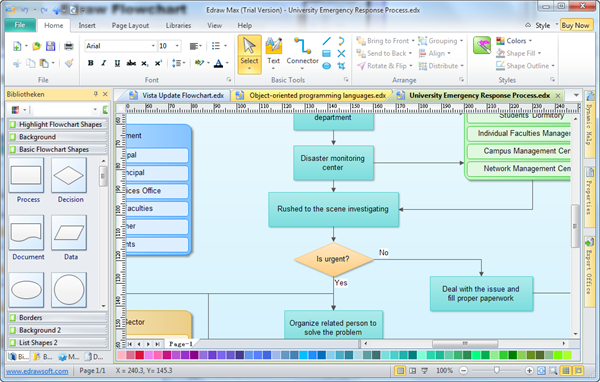 But flowchart creator is a very good way to get a new idea explained in a presentation. 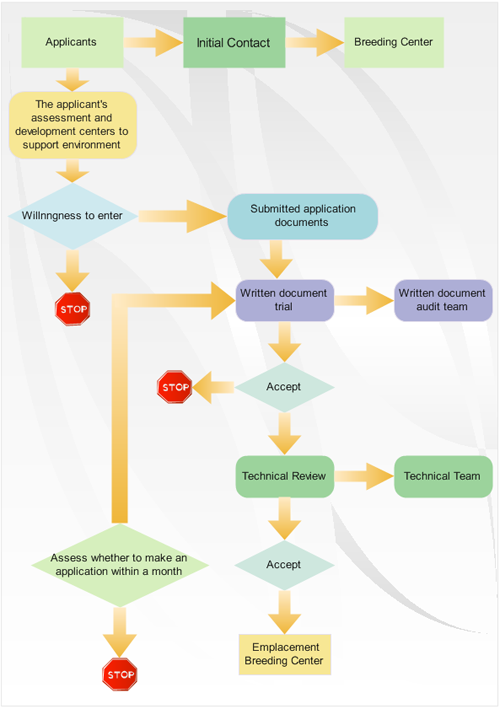 Nowadays, flowcharts are everywhere as it makes complicated process easier to understand. It's an effective tool that brings many benefits for readers. To understand flowchart, you need to know the meaning of the basic elements and how they are connected. Then you can use Edraw to visualize your ideas with just simple clicks. Try it now.